With the smell of fresh-cut grass in the air, the official start to spring begins with a crack of a bat. Baseball season is in full swing. 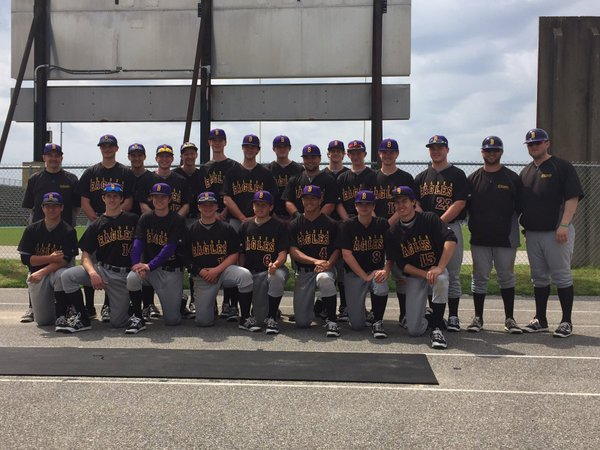 The Bellbrook Men’s Baseball Team have been working hard in the past few months with 3 hour practices and weight training sessions. Already the team has played 11 games, including 3 league wins and 2 league losses, beating Valley View twice and Franklin and playing some tough games against Eaton. Junior Luke Mayberry expresses high expectations for himself and teammates, for his goal is for the team to be able to go to state. Mayberry feels strongly that the team is able to accomplish this goal, as long as they work hard together as a team. Senior Mason Sherrill adds, “I think it is possible. We just have to play solid baseball the rest of the season.” Sherrill would also like to see the team walk back on the field for the Regional Final Game, where they made it last year. The Seniors on the team are looking forward to a fulfilling season of glory. 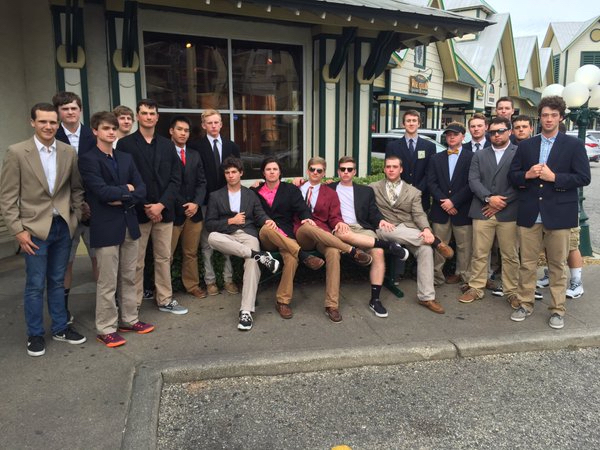 Two of the Seniors have already signed on to college teams. 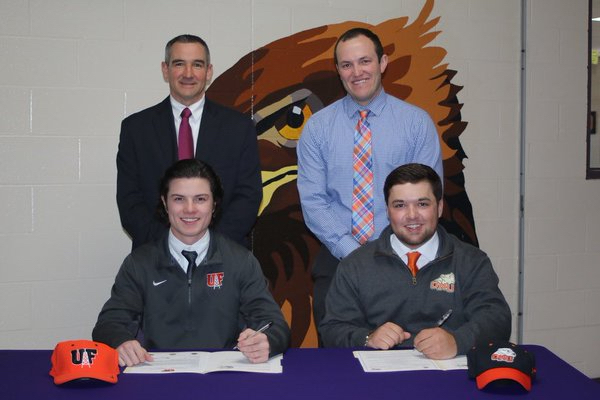 Mason Sherrill has signed with The University of Findley and Cody Clark has signed with Ohio Northern University. Congratulations to these boys on their accomplishments and good luck to all of the Seniors and their teammates for a successful season.